Your cholesterol test results may not accurately reflect your body's general cholesterol situation for a number of reasons, including simple human error. According to the Clinical Practice Guidelines developed by the U.S. Department of Veterans Affairs, healthcare decisions should not be made until an individual has had two cholesterol tests. Between one and eight weeks should separate each blood test. If the results of the two tests vary by 30 mg/dL or more, something may well be amiss and the tests should be repeated. A recent cardiac event, such as a heart attack or stroke, can temporarily lower lipid levels. Surgeries and infections can also temporarily lower your cholesterol levels. Certain medications, such as corticosteroids and estrogens, can raise your lipid levels. Ask your doctor for a full list of medications that might affect your test results. Make sure you are clear about how long you need to be off a given medication to ensure accurate results. Pregnancy can increase cholesterol levels, so a cholesterol test should not be considered reliable until a woman is about 4 months postpartum. When cholesterol is tested as part of a lipid profile, you will be instructed to fast with only water for 9-12 hours before your blood is drawn. If you are unable to fast prior to your cholesterol test, tell your doctor. And if you had a slip-up and consumed something prior to your test, let your doctor know. Food in your system can alter your cholesterol levels. Alcohol consumption can also affect your test results. Most experts agree that you should avoid any alcoholic beverages for 24 hours prior to testing. Human error can also affect your test. It's uncommon, but lab mistakes and reporting mistakes do happen. Make sure that the person drawing your blood asks for your identification, and then labels the tubes with your information. There are other ways that laboratory errors happen, but misidentification is one you can help prevent. If you suspect that your cholesterol results are inaccurate, don't hesitate to ask for a repeat test. Your cholesterol results are the key to determining your risk of heart attack or stroke, and it's important that you have the most accurate results. 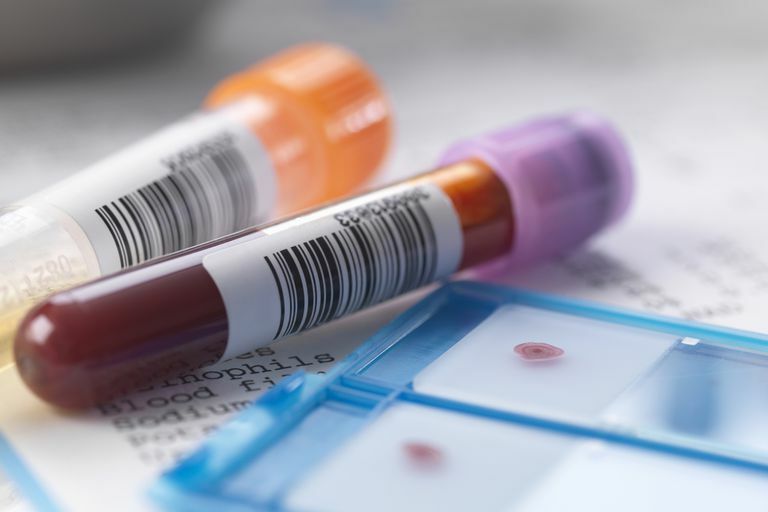 Keep in mind that not only are your cholesterol values suspect, but also other tests performed on the same tube of blood or other tests that required fasting. It is wise to ask for a do-over. "Cholesterol Testing." hmc.psu.edu. 31 Oct. 2006. Penn State Milton S. Hershey Medical Center. "Cholesterol." American Association for Clinical Chemistry, October 29, 2015. "VA/DoD Clinical Practice Guideline for the Management of Dyslipidemia for Cardiovascular Risk Reduction," Version 3.0 - 2014. U.S. Department of Veterans Affairs, Department of Defense. December 2014.